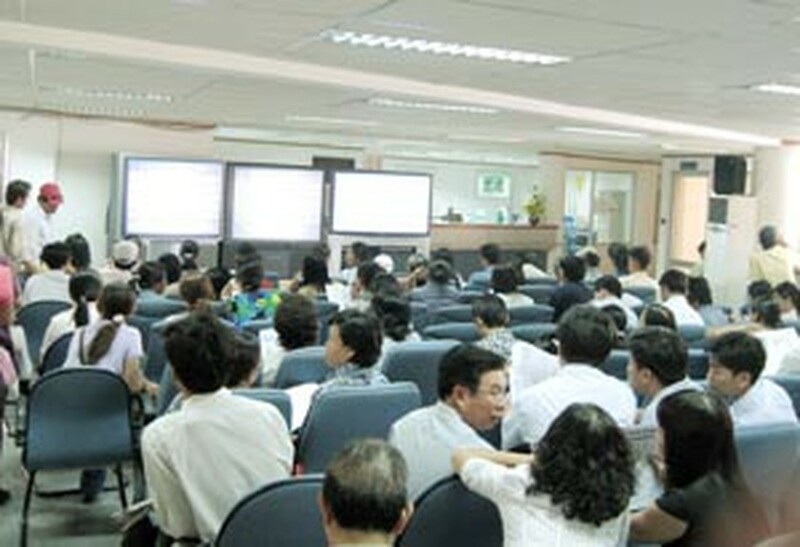 The Dong Anh Ceramic Joint-stock Company (DAC) and the Viglacera Tu Son Ceramic Joint-stock Company (Vituco), two subsidiary companies of the Vietnam Glass and Ceramics for Construction Corporation (Viglacera), listed their shares Wednesday on the Ha Noi Securities Trading Center (HASTC). These are small scale stocks but they are Viglacera’s first listings on the stock market. Both Vituco and DAC are subsidiaries of Viglacera, the economic group directly under the Viet Nam Ministry of Construction. Vituco has the chartered capital of VND10 billion, specializing in construction materials, clay, and other products. The company’s main shareholders are outside investors (42.25%), employees (32.75%) and the government (25%). Meanwhile, DAC only has VND7.5 billion in chartered capital but the government (Viglacera) holds 51% of it. Viglacera has plans for public sales to reduce their stake to match Vituco’s capital ratio in the near future. DAC stock officially traded at the price of VND17,000/share while VTS stock went for the average price of VND25,200/share.